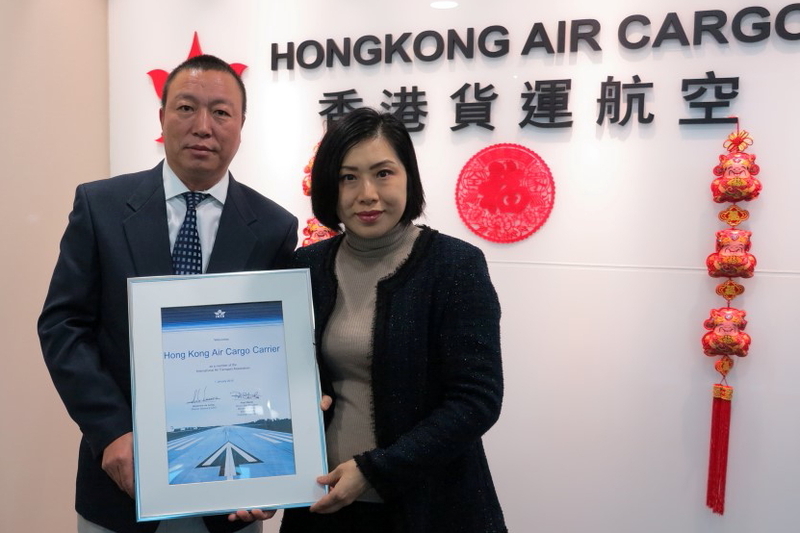 Hong Kong Air Cargo received its IATA membership certificate on Thursday. In September last year, Hong Kong Air Cargo passed the IATA Operational Safety Audit (IOSA), an audit which is internationally recognised and accepted as an evaluation system designed to assess the operational management and control systems of an airline. Launched in 2017, Hong Kong Air Cargo, a subsidiary of Hong Kong Airlines, has a route network that now covers 11 destinations across the region including Almaty, Bangkok, Dhaka, Hangzhou, Hanoi, Ho Chi Minh (Saigon), Istanbul, Shanghai, Singapore, Taipei and Zhengzhou with over 200 staff and a fleet of five Airbus A330-200F. Hong Kong Air Cargo is also the GSA of Hong Kong Airlines’ cargo business. See latest HD Video Interviews, Podcasts and other news regarding: IATA, Cargo, Freight.